General Motors, one of the largest automakers in the world announced that it is using new, advanced software technology from Autodesk to introduce next generation of vehicle lightweighting. 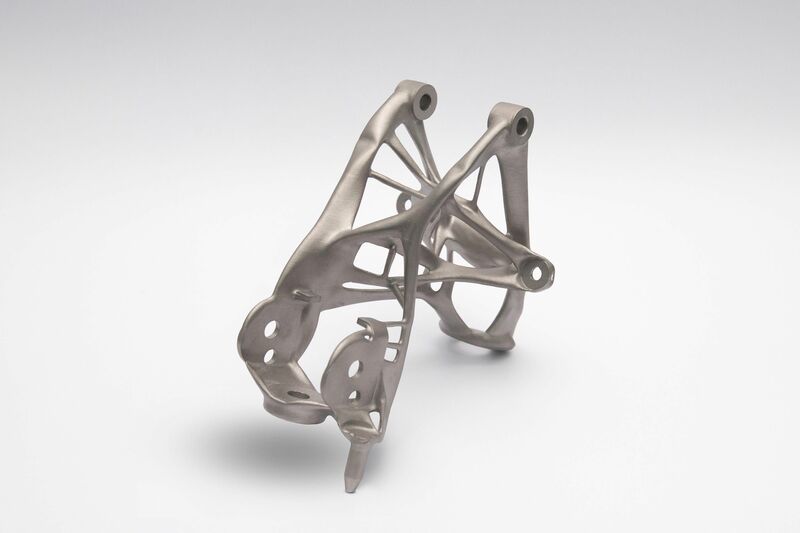 GM also claims that it is the first automaker in North America to use new generative design software technology from Autodesk. GM is leading the industry into the next phase of vehicle lightweighting. The new design technology provides significantly more vehicle mass reduction and parts consolidation opportunities that are difficult to achieve through conventional design optimization methods. GM is planning to utilise the technology on future product designs. In fact, the two companies have already applied this technology to produce a proof of concept part. GM and Autodesk engineers created a seat bracket that’s 40% lighter than the original part and 20% stronger. Earlier, the bracket comprised of eight individual components. However, with the help of 3D printing process, the company managed to reduce that down just to a single component. Speaking about the advantages that the technology offers, GM Vice President Ken Kelzer, Global Vehicle Components and Subsystems, said, “This disruptive technology provides tremendous advancements in how we can design and develop components for our future vehicles to make them lighter and more efficient”. “When we pair the design technology with manufacturing advancements such as 3D printing, our approach to vehicle development is completely transformed and is fundamentally different to co-create with the computer in ways we simply couldn’t have imagined before,” Kelzer added. “Generative technologies fundamentally change how engineering work is done because the manufacturing process is built into design options from the start. GM engineers will be able to explore hundreds of ready-to-be-manufactured, high-performance design options faster than they were able to validate a single design the old way,” added Reese. Being one of the leading end-users and innovator in additive manufacturing, GM has been using 3D printing to create three-dimensional parts directly from digital data through successive addition of layers of material. With more than 50 rapid prototype machines that have produced more than 250,000 prototype parts in the past ten years, GM possesses comprehensive 3D printing capabilities in the world. The company now believes that generative design technology and 3D printing are key towards developing efficient and lighter alternative propulsion and zero emission vehicles of the future.